Just a small frog I painted on special ‘snowy’ textured watercolour paper, I kept it simple and didn’t go too wild with the colour slashes which I’m fighting with myself about … So before I ruin him, here he is! 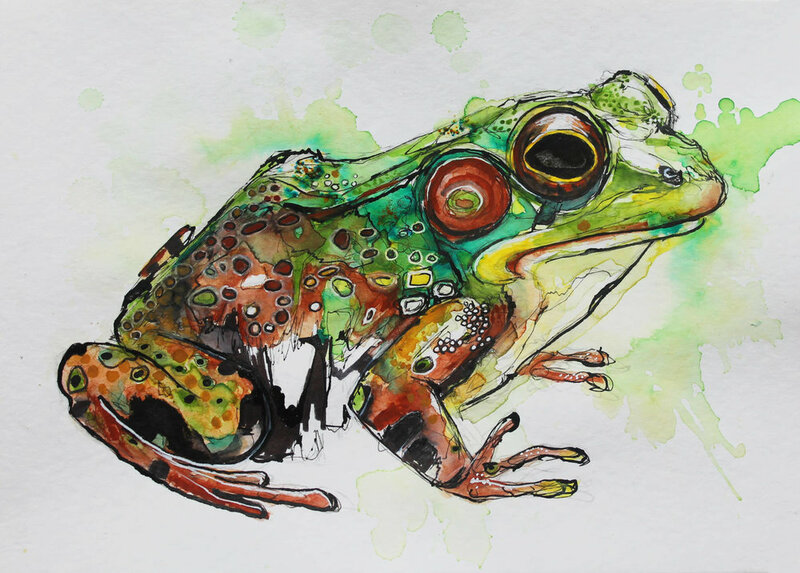 I thought I’d also see if anyone wants to give him a home, so this frog is now available in my shop. April 3, 2018 by Laura Bennett.